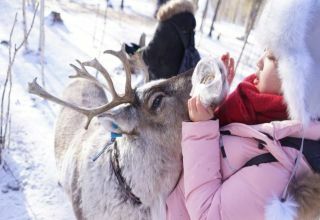 Visit a local Reindeer farm and learn more about these lovely animals. 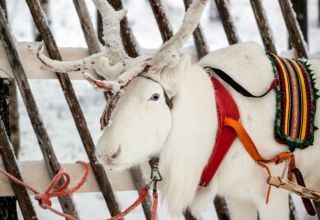 Join us for an exciting reindeer safari at a local farm, just 20 minutes’ drive from Rovaniemi. 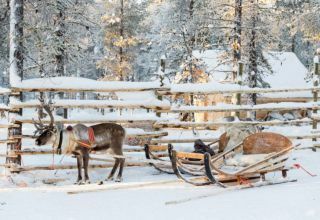 Learn about reindeer herding and explore Lappish wilderness on a short safari. * All tours listed are for a minimum of 2 persons paying a full (adult) price, unless mentioned otherwise. * Tours include a pick up / drop off transfer from your accommodation in the area of central Rovaniemi. Time for meeting point and place will be confirmed upon the reservation. * All our guides have undertaken our own training program and are highly qualified. Guidance is provided in English, some of the other languages are available at an additional cost. * Nordic Adventures reserves the right to make alterations to the programs, price, duration or form of transportation without prior warning. This is also applied to changes in programs due to weather conditions. We start our adventure with a hotel pickup. 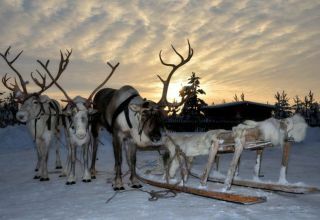 After a short drive, we will arrive at the local reindeer farm located on the edge of a private lake. Don't forget your camera! Capture the beauty of Finnish picturesque landscapes. You can take photos with reindeers too! 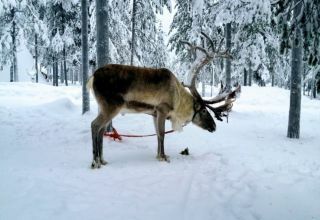 Our hosts will tell you more about reindeer herding and life in the Finnish countryside. 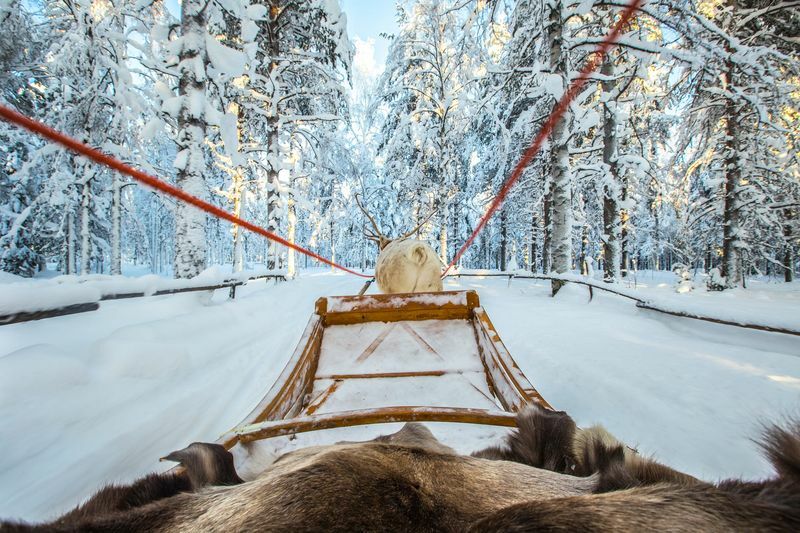 We will take you on a short sleigh ride along the forest trails. 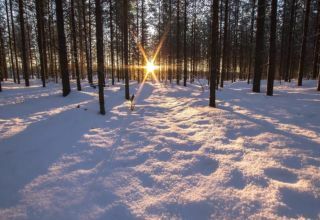 This is a unique opportunity to experience the serene Lappish nature. 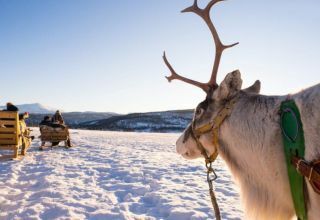 As we get back to the farm you will learn more about reindeer rides and warm up with hot drinks and snack. You can take photos with reindeer to memorize this unique safari. 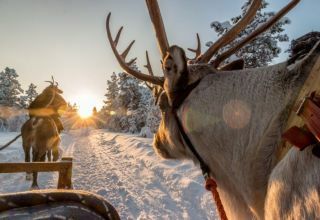 To make this experience even more special, we will give you a symbolic Reindeer driving license, so you can manage your own sleigh.